Have a baby? Based in the inner city / inner west? 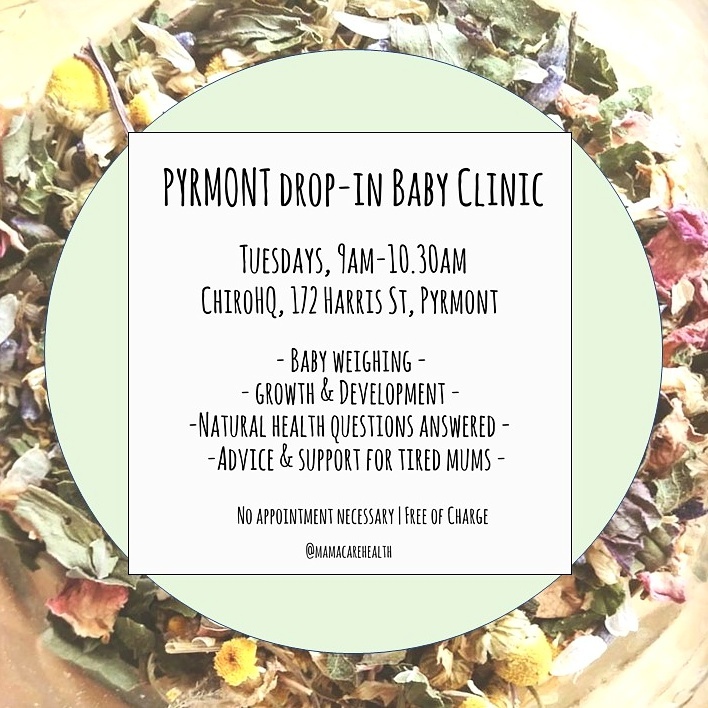 This news is for you: we’ve started a free drop-in baby clinic in Pyrmont. There are very few of these in this part of Sydney, so we (me / MamaCare / ChiroHQ) wanted to offer this service for our local mums, dads and bubs. The drop-in clinic runs from 9am – 10.30am each Tuesday morning: 172 Harris Street, Pyrmont. As well as weighing / measuring / checking temperature, I can also answer questions on natural health and remedies. And there’s usually a pot of herbal tea on offer in the waiting room! If you have any questions, feel free to call the clinic on 9660 7222, or drop in on a Tuesday morning.